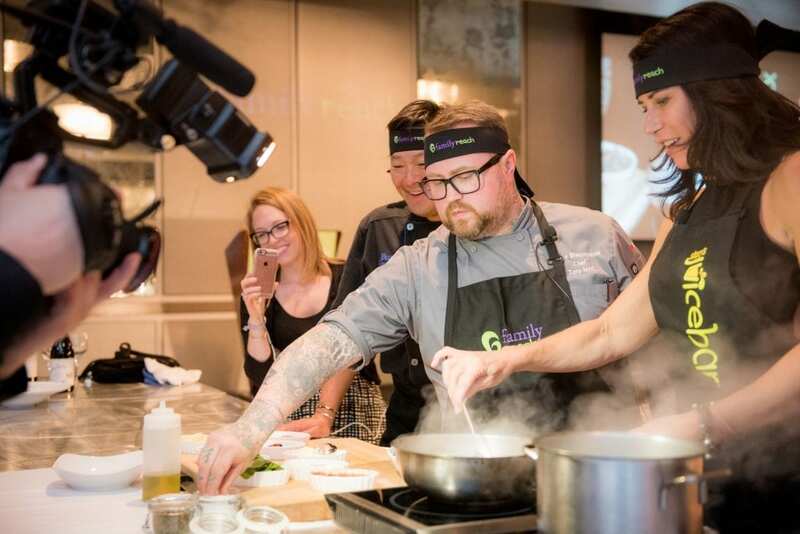 On May 8, we hosted our sixth annual Cooking Live! Boston fundraiser at The Ritz-Carlton, Boston. 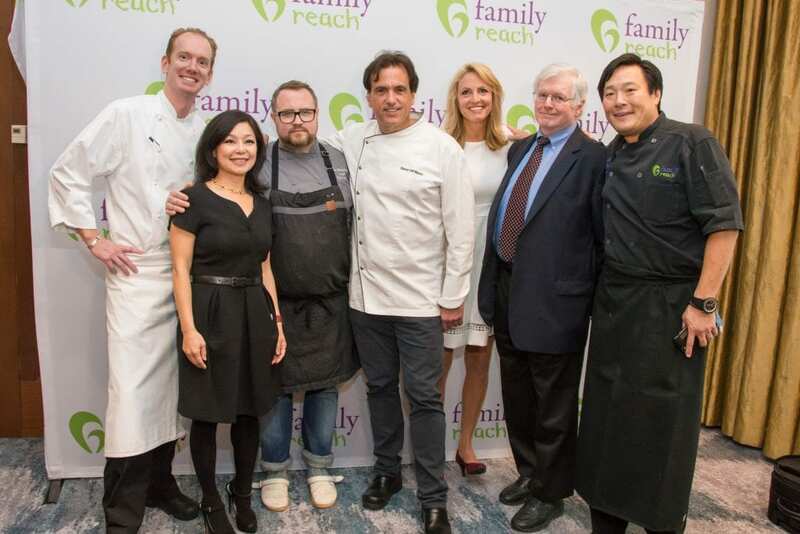 Celebrity chef and Family Reach National Advisory Board President Ming Tsai was joined by renowned chefs Steve DiFillippo (Davio’s), Jamie Bissonnette (Coppa, Toro and Little Donkey) and Robert Bruce (The Ritz-Carlton, Boston). 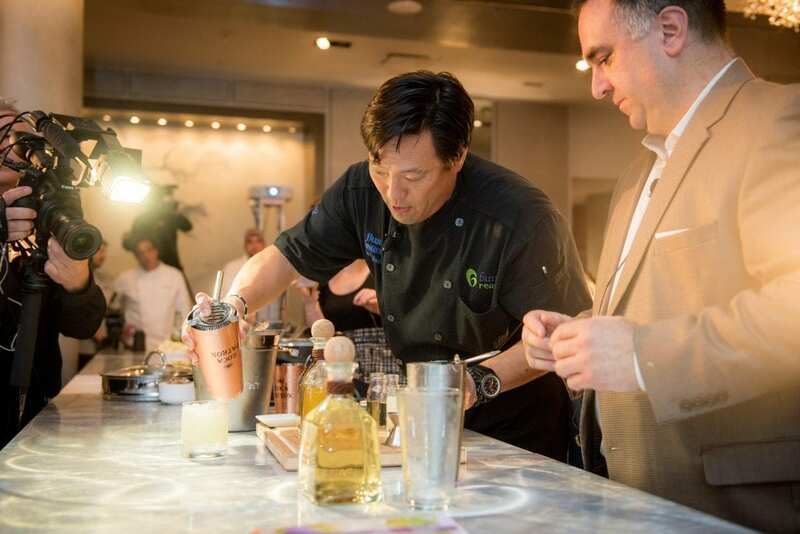 A huge thank you to Ming and this talented lineup for delivering a culinary experience like no other. Guests watched as the chefs prepared a five-course meal live in the center of the room with the help of local pediatric cancer patients. 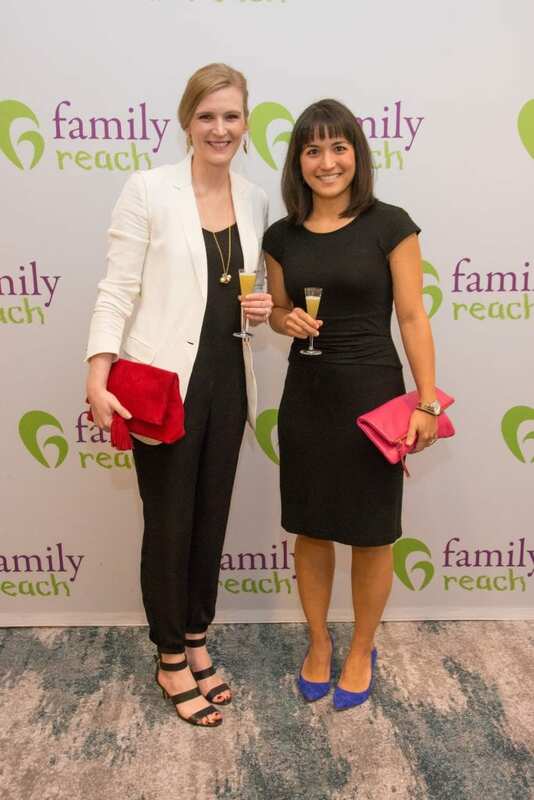 It was an evening full of hope, laughter and good cheer in support of families fighting one of life’s toughest battles. Thanks to our generous guests, this year’s Cooking Live! Boston will provide more than 1,000 individuals impacted by the financial burden of cancer with the vital support they need to remain in their home, with the power on and food in the refrigerator. Robert Bruce (The Ritz-Carlton, Boston), Janet Wu (renowned multi-media journalist), Jamie Bissonnette (Coppa, Toro, Little Donkey), Steve DiFillippo (Davio’s), Carla Tardif (Family Reach CEO), Dana Bisbee (Improper Bostonian) and Ming Tsai (Blue Ginger, Blue Dragon) gathered for a shot before the evening kicked off! Family Council member Anthony Cervone proudly showed off his “Get Ming’d” tee with Family Reach CEO Carla Tardif and wife Rina by his side. 14-year-old Jessica and her mom, Cheryl, enjoyed a night off from treatment. Attendees sipped on cocktails like the Roca Patrón Pineapple Punch thanks to our sponsors at Patrón Tequila. Guests Amy Choi and Nicole Shimabukuro snagged a photo during the cocktail reception. 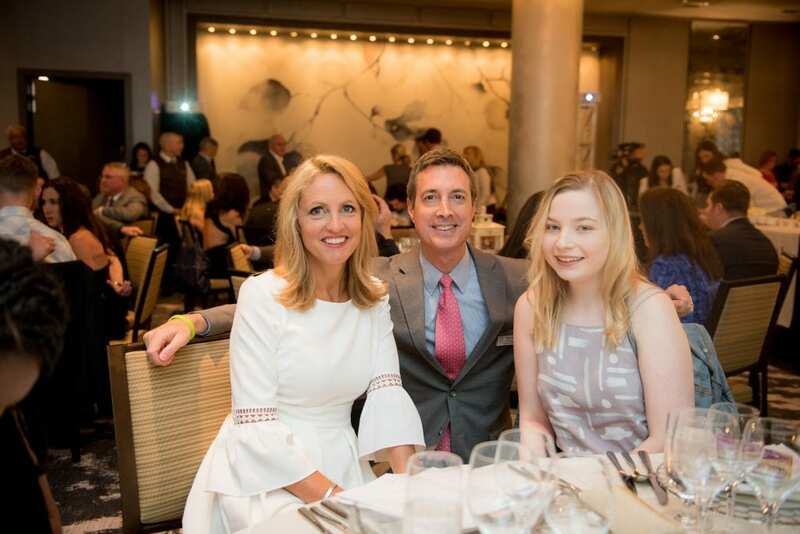 Carla Tardif (Family Reach CEO) and Rick Morello (Family Founder) chatted with Camille Wahl, one of the pediatric cancer fighters that inspires the work we do each day. 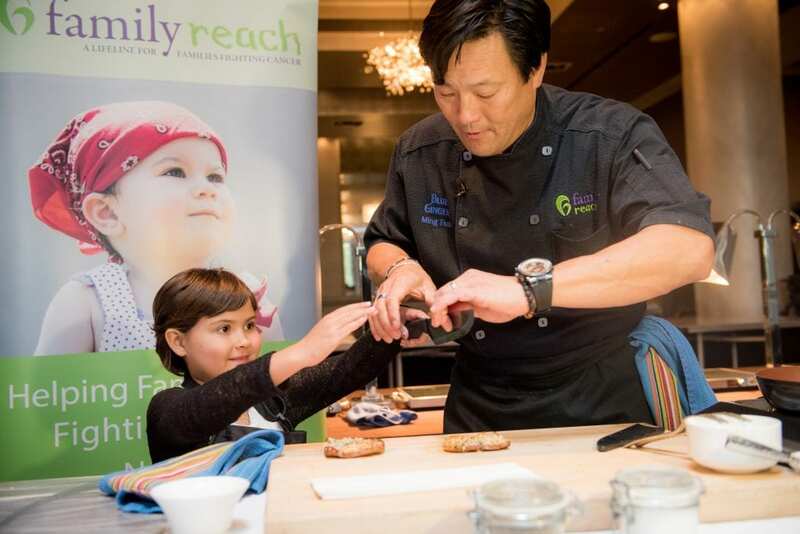 Ella Campbell, Family Reach hero and chef in the making, helped Ming Tsai prepare one of his signature samplings. Rebecca Noren (Blue Ginger) LIVE streamed from the center of the round as Ming Tsai, Jamie Bissonnette and Stacy Madion (Stacy’s Juicebar and Stacy’s Pita Chips Founder) prepared the third course of the evening. 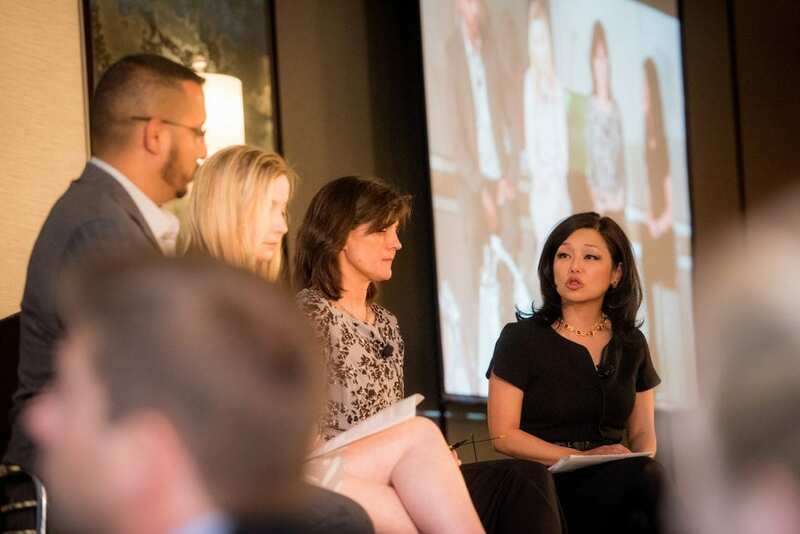 Led by Janet Wu, our family panel moved the audience and reminded us all that the financial toll of cancer impacts families of every kind. 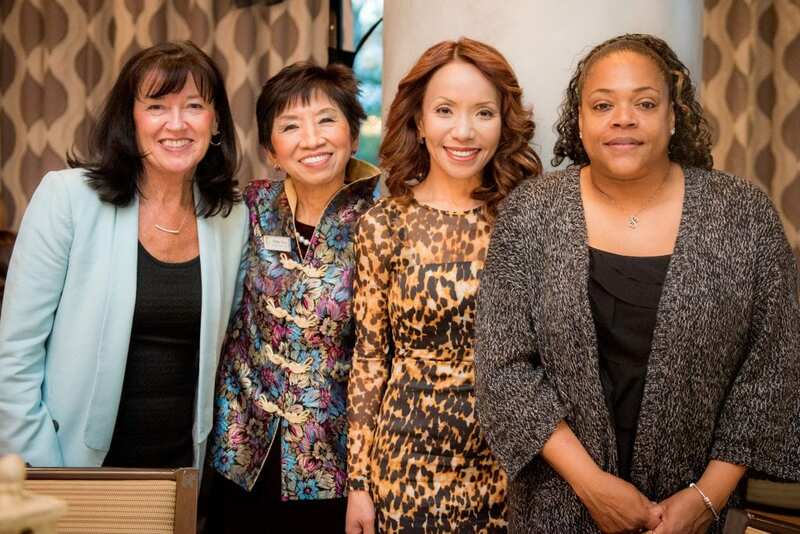 Rosemary Phalen, Madge Meyer and Flora Sah spent quality time with Janet Fuentes. Janet’s son, Jevon, is thriving after his battle with leukemia. 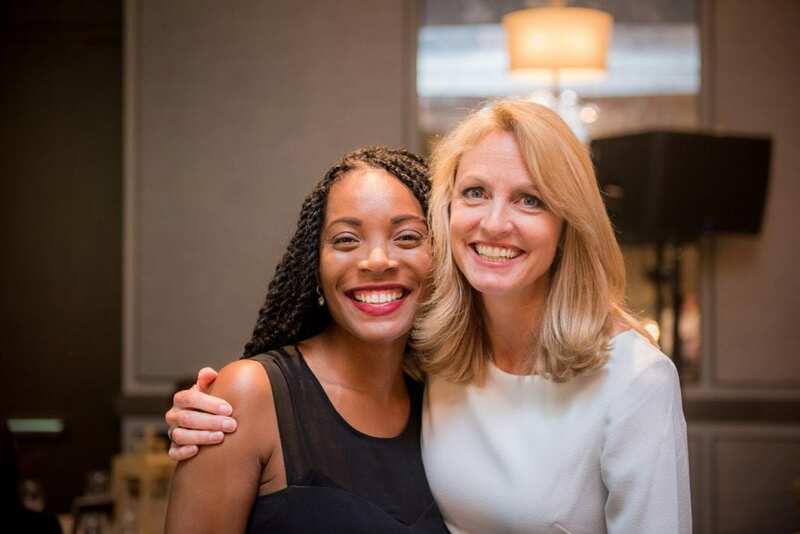 Shannon Sylvain (Brown Sugar Rehab Founder) and Carla Tardif (Family Reach CEO) reunited for a night full of delicious food, hope and inspiration. 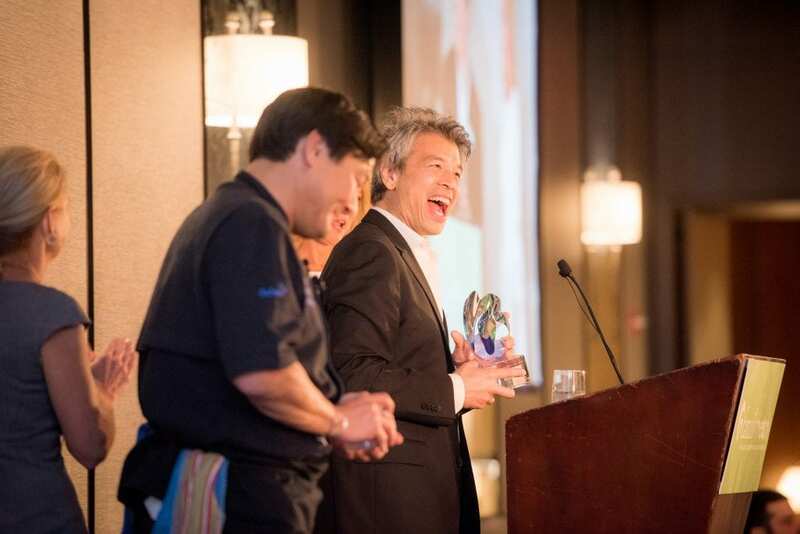 Reach Athlete Founder Kenji Freedman received this year’s Ming Tsai Leave Your Mark Award in recognition of his tireless commitment to our mission. 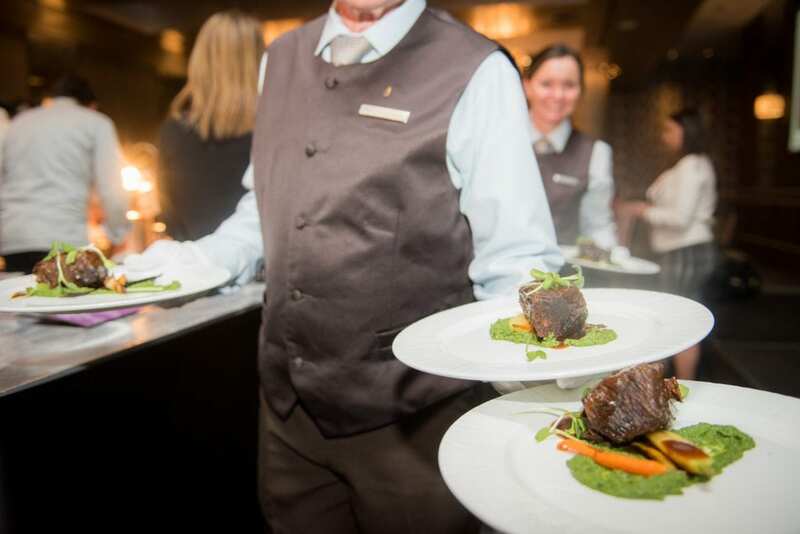 Chef Robert Bruce’s braised beef short ribs earned rave reviews from the crowd. 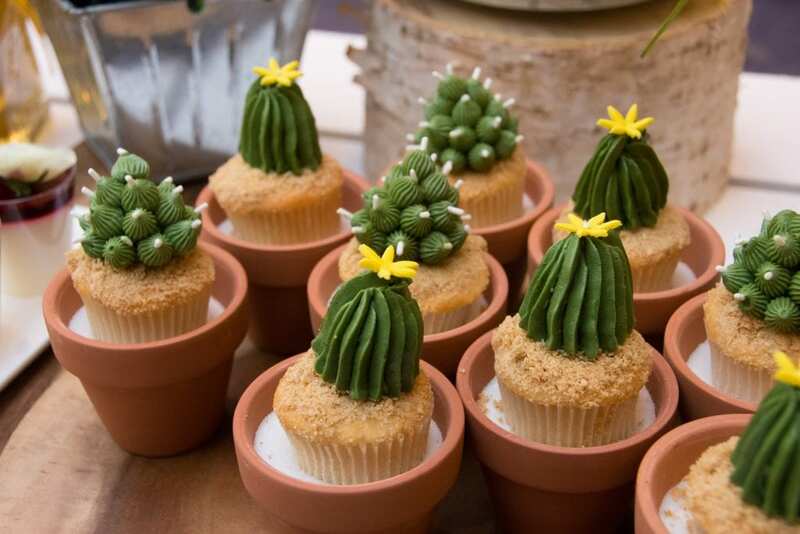 The nature-inspired dessert buffet was a huge hit, enticing guests young and old.